General Khan was serving at the General Headquarters of the Pakistan Army in the garrison city of Rawalpindi, outside the capital, Islamabad. He was picked up for questioning by the Special Investigative Branch of the Pakistan Army on May 6, but the announcement of the arrest was made Tuesday after an army spokesman confirmed that he had been detained to the BBC Urdu Web site. Zero tolerance? Selective tolerance? Tomato To-mah-to? Hmm. The Express Tribune yesterday noted it was unclear whether the arrest was part of a larger “cleansing process” of the military. However, on Wednesday, the military announced that it had begun investigating other officers with links to HuT, saying they had questioned four majors with links to the case. But just who is HuT, aside from a pretty convenient, ridiculously good-looking acronym? Hizb ut-Tahrir now has its main base in Western Europe, but it has large followings in Uzbekistan, Tajikistan, Kyrgyzstan, and Kazakhstan, as well as in China’s traditionally Muslim Xinjiang Province. Most of its members are believed to be ethnic Uzbeks. Its expansion into Central Asia coincided with the breakup of the Soviet Union in the early 1990s. By one estimate there are more than 10,000 followers in Central Asia. Hizb ut-Tahrir al-Islami has been active in Central Asia since the breakup of the Soviet Union. The Guardian‘s Declan Walsh echoed in his coverage, “HuT has long faced accusations of seeking to infiltrate Pakistan’s army. In the wake of Bin Laden’s death it distributed pamphlets near army bases calling on officers to overthrow the government and forge a new Islamic caliphate.” Former HuT activist Maajid Nawaz, now part of Quilliam, a UK think tank, told the Guardian that HuT plans to come to power through a military coup. Walsh noted, “[Nawaz] has previously admitted recruiting Pakistani officers who were attending a training course in Sandhurst in 2000.” Nawaz told the Guardian in 2009, “We sent them back to Pakistan to infiltrate the army. They were recruiting for three years and tried to mount a coup.” The plotters were discovered and jailed by then president Pervez Musharraf, he said. The Pakistani military has recently come under fire for its alleged ties with militants – particularly following the Osama bin Laden raid and the PNS Mehran attack last month. Omar Waraich wrote in TIME this week that it has been “a grim seven weeks for Pakistan’s powerful generals.” Talat Masood, a retired lieutenant general-turned-analyst told Waraich, “It’s amazing the level of criticism that the military leadership is facing. It’s clearly the worst in its history.” Perceptions of COAS Gen. Kayani are increasingly negative, if polls are anything to go by. While the most recent Pew (pee-you) poll on Pakistan found that the army remains popular (79% says it has a good influence on the country), only 52% of respondents gave Kayani a favorable rating, down from 57% before the Osama bin Laden raid. The bad news of Khan’s arrest is that it underlines the presence of a radical mindset within the armed forces. The good news is that it probably also reflects new thinking: greater attention to all those who might be influenced by organisations such as Hizb ut-Tahrir and Lashkar e-Taiba. Moreover, if the army can demonstrate it has gone after suspected militant officers successfully, it might be able to release some of the pressure it currently faces from the United States, which is demanding that Pakistan do more to fight Pakistan. But is this indicative of a greater purge within military ranks? A part of me – the part that still blinks at Pakistan with hopeful puppy dog eyes – wishes this were true. But the larger part of me – the part that rolls eyes frequently and scoffs snarkily – has heard this tired refrain before. Yes, the arrest of Khan is significant. The investigations are notable. But I’d wait before passing judgment on whether there is an impending sea change. HuT is a dangerous outfit, despite their claims to the contrary. That is certain. But is the military rooting out infiltration amidst its ranks because it’s genuinely concerned with extremist tendencies, or because the HuT-specific links are a direct threat to the military’s authority? Would the Army perform similar exercises with officers linked to other militant groups that still hold strategic interest? Now almost one year later, Terror in Mumbai is a chilling reminder of the attacks as well as the organization of the Lashkar e Taiba. 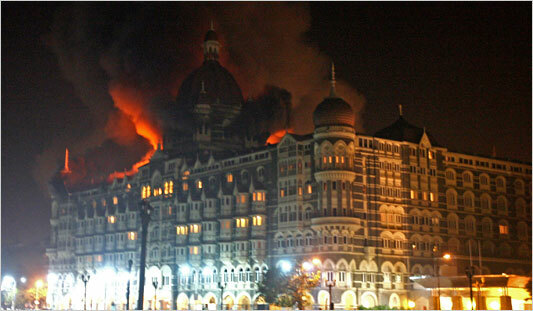 Since the attacks, the Indian government has presented Pakistan with seven dossiers of evidence. However, they have all been met with Interior Minister Rehman Malik‘s demands for more information. As a result, relations between New Delhi and Islamabad remain strained. Given the current status quo and the widening trust deficit, what will it take to change the stagnant relations between India and Pakistan? In terms of the post-Mumbai investigations, which side will have to give to ensure progress?